John Kemp (1723-1795) is #240 on my Ahnentafel List, my 5th great-grandfather, who married #241 Anna Van Vorst (1732-1789) in about 1760, probably in Schenectady, New York. * their son, #120 John Kemp (1768-1861), who married #123 Mary Dafoe (1776-1832) in 1795. * their son, #60 Abraham Kemp (1795-1881), who married #61 Sarah Sephrona Fletcher (1802-1861) in 1822. * their son, #30 James Abraham Kemp (1831-1902), who married #31 Mary Jane sovereen (1840-1874) in 1861. * their daughter #15 Georgianna Kemp (1858-1952) who married #14 Charles Auble (1849-1916), in 1898. * their daughter #7 Emily Kemp Auble (1899-1977) who married #6 Lyle Lawrence Carringer (1891-1976) in 1918. * their daughter #3 Betty Virginia Carringer (1919-2002), who married #2 Frederick Walton Seaver (1911-1983), in 1942. Extensive information about this family was obtained from Cheryl Kemp Taber and can be seen on her Rootsweb WorldConnect database (http://wc.rootsweb.ancestry.com/cgi-bin/igm.cgi?op=GET&db=cdn-kemp). John Kemp's parents are not known. One record, from a 1783 military record, indicated he was from the "Country of Merriland." That may be the American state of Maryland; it may be from the township of Maryland in New York; it may be from a place in the British Isles or Europe. John Kemp may have been a soldier in the British Army stationed in New York before 1760 during the French and Indian Wars. The same military record lists his age as 60, so he may have been born in about 1723. He was in the Albany/Schenectafy area of New York along the Hudson and Mhawk Rivers by 1760. Apparently, he married Anna (Van Vorst) Van der Bogart in about 1761 as her second husband. A "John Kempe" signed a petition to request a minister for St. George's Anglican Church in Schenectady in 1765. In the 1772 census for New York, he resided in Guilford township, dirstrict of Ballston, Saratoga County as "John Camps" with a wife and eight children. A "John Camp" was on the 1779 tax list for Ballston District. John and Anna (Van Vorst) Kemp had five children born between 1761 and 1770, and the first three were recorded in the First Dutch Reformed Church records in Schenectady. "John Kemp" fought for the British in the American Revolution, as did his sons and a stepson. He served in His Majesty's Service in the Corps styled as King's Rangers under the command of Lt. Col. Robert Rogers in Captain Samuel Harden's Company. 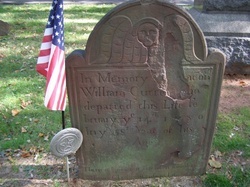 He was a Private in the 18 October 1780 muster roll, dated at New York, and was stationed in the occupied zone around New York City for two years. In a list of soldiers in the King's Rangers quartered at St. John's on 21 January 1783, commanded by Major James Rogers, he was listed as from the Country of Merruiland, age 60, 5 feet 5 inches tall, and had served one half month. His sons Joseph and John were in the same detachment. When the British lost the war, the King's Rangers disbanded at Cataraqui, Ontario, near Kingston, in October 1784. Because of their loyalty to the Crown, John Kemp and his family were given the title of "United Empire Loyalist" and were each granted 200 acres of free land. John Kemp is listed as being of the King's Rangers on the Provision List of Kingston in 1786, and received his grant of land in Fredericksburgh Township, Addington County, Ontario on Concession 4, Lot 2. The John Kemp family may have resided in Fredericksburgh in Addington County, Ontario as early as 1784, listed as a farmer, and he attended the Anglican and/or First Reformed Church. The old United Empire Loyalists List shows John Kemp Sr of Fredericksburgh, soldier, on the Land Board of Mecklenburgh in 1790 and of 1793. There are two petitions by John Kemp for land in Richmond township, Lennox County, Ontario in 1790 and 1793. Anna died in July 1789 in Fredericksburgh, and John Kemp died in January 1795 there, and was buried 15 January 1795 in Fredericksburgh. 1. Cheryl Kemp Taber, "Kemps and Kin," online database, Rootsweb WorldConnect Project (http://wc.rootsweb.ancestry.com/cgi-bin/igm.cgi?op=GET&db=cdn-kemp). 2. William Briggs, Ontario Historical Society Papers and Records (Toronto, Canada : Ontario Historical Society, 1899), page 61, John Kemp burial entry. NOTE: Amy Johnson Crow suggested a weekly blog theme of "52 Ancestors" in her blog post Challenge: 52 Ancestors in 52 Weeks on the No Story Too Small blog. I have extended this theme in 2017 to 208 Ancestors in 208 Weeks. Have You Tried One Page Genealogy? Have You Tried Pedigree Pie?